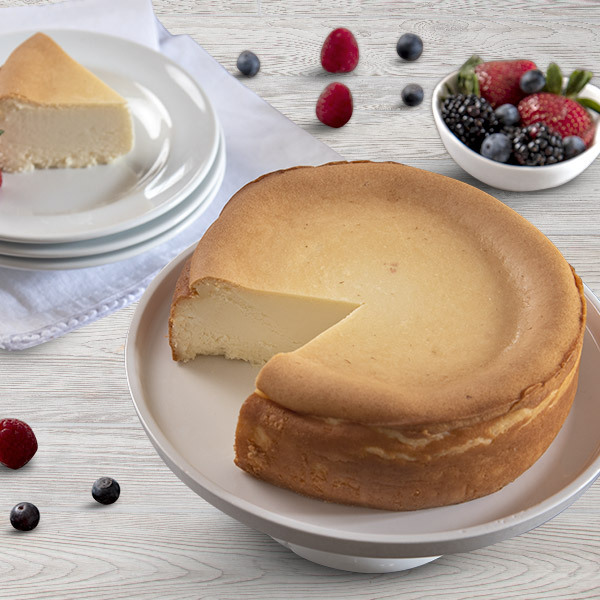 Using the original recipe circa the 1920s, we’ve mastered the art of creating the smoothest, creamiest New York style cheesecake around. With a touch of vanilla and pure cream cheese, this elegant dessert perfectly pays homage to the delicious Big Apple staple. The absoloutely best cheesecake my husband and I have ever had. It's like HEAVEN in your mouth. 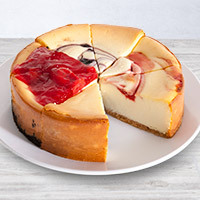 We only get the plain New York Cheesecake, because only with it do you get the ultimate and pure taste with out covering that up. Maybe, a tiny drizzle of caramel, maybe. Very good and as advertised and no graham cracker crust on this one! Arrived right on time, my sister loved it! Definitely recommend gourmet gift baskets and NY cheese cake. Both of our wishes were granted. 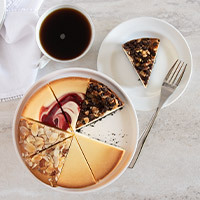 We wanted a small New York-style cheesecake with a big-city taste. This will be our cheesecake source from now on. I bought this as a gift for my mother whose favorite dessert is cheesecake. She raved about the quality and actually started rationing the last few slices to make it last longer. The next time I want to surprise her, I will send another one! I must admit I am a cheesecake snob. There are very few that pass my personal test. 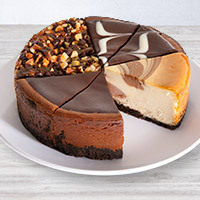 I received a gift card to Gourmet Gift Baskets and decided to order cheesecake. Yummy. Easily passed my test. A delicious cheesecake sent for my Aunt's 88th Burthday was a great surprise for her!